Copper sulfide is a crystalline solid used as a semiconductor and in photo optic applications. 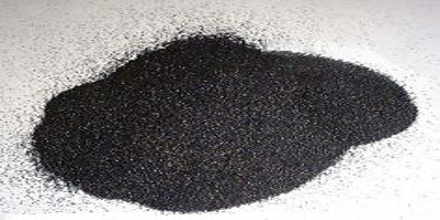 It is the black, bluish black, or brownish black crystalline sulfide CuS occurring naturally as covellite and precipitated by hydrogen sulfide from a solution of a cupric salt —called also cupric sulfide. It describes a family of chemical compounds and minerals with the formula CuxSy. Both minerals and synthetic materials comprise these compounds. 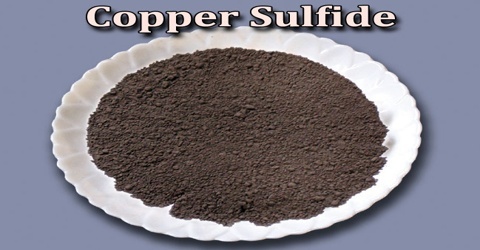 Some copper sulfides are economically important ores. It can be classified into three groups, namely monosulfide, disulfide and mixed monosulfide. Copper sulfide occurs naturally in nature as a mineral called covellite. It conducts electricity moderately. Both synthetic materials and minerals contain copper sulfide. In chemistry, a “binary copper sulfide” is any binary chemical compound of the elements copper and sulfur. Whatever their source, copper sulfides vary widely in composition with 0.5 ≤ Cu/S ≤ 2, including numerous non-stoichiometric compounds. Copper monosulfide is a chemical compound of copper and sulfur. It occurs in nature as the dark indigo blue mineral covellite. It is a moderate conductor of electricity. A black colloidal precipitate of CuS is formed when hydrogen sulfide, H2S, is bubbled through solutions of Cu(II) salts. It is one of a number of binary compounds of copper and sulfur, and has attracted interest because of its potential uses in catalysis and photovoltaics. Copper was first discovered by Early Man prior to 9000 BC. In its elemental form, copper has a red-orange metallic luster appearance. 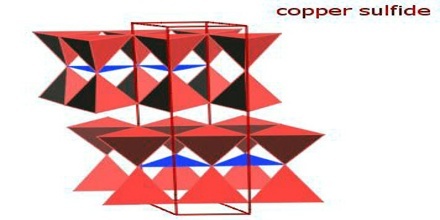 The origin of the word copper comes from the Latin word ‘cuprium’ which translates as “metal of Cyprus.” Cyprus, a Mediterranean island, was known as an ancient source of mined copper. Sulfur (or Sulphur) (atomic symbol: S, atomic number: 16) is a Block P, Group 16, Period 3 element with an atomic radius of 32.066. The number of electrons in each of Sulfur’s shells is 2, 8, 6 and its electron configuration is [Ne] 3s2 3p4. In its elemental form, sulfur has a light yellow appearance. Sulfur has been known since ancient times but was not accepted as an element until 1777, when Antoine Lavoisier helped to convince the scientific community that it was an element and not a compound. 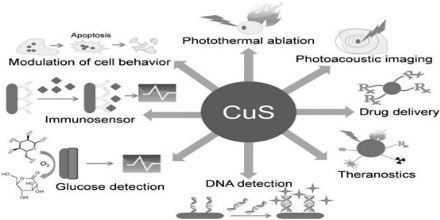 At very high pressures, a copper disulfide, CuS2, can be synthesized. Its crystal structure is analogous to that of pyrite, with all sulfur atoms occurring as S-S units. Copper disulfide is a metallic conductor due to the incomplete occupancy of the sulfur p band. Different stoichiometric compositions can be obtained by changing the redox atmosphere of the synthetic environment. Reference: merriam-webster.com, americanelements.com, azom.com, wikipedia.